If you carefully look at the articles on my website you might notice that I use “typographic” quotes, ellipses (…) and dashes (–) as well as the inch sign ″. Generally WordPress (as DokuWiki as well) can generate such characters automatically by doing replacements in the source text according to several rules – however this does not work properly in some cases as shown in the bug #8775 in the WordPress bug tracker. 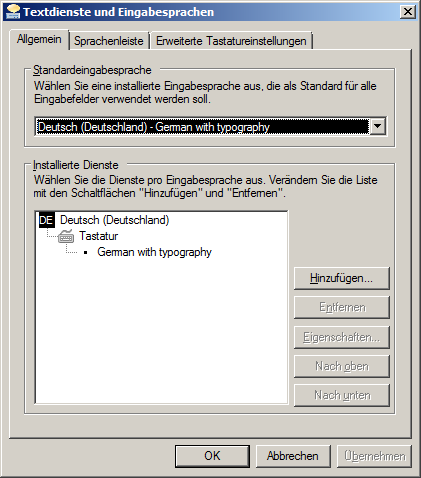 Without additional customizations by a plugin or an additional function in the theme quotes are also only created in the form which is common for English text (“…” instead of „…“ in German). Therefore I prefer to type these characters directly in the text. The laborious method is to select the special characters using the “special characters” menu in the WordPress editor or entering a code on the numerical keypad while pressing the [Alt] key. Another way is editing the article in the source view and entering the HTML entities manually (for example &ldquo; and &rdquo; for the quote characters). It is much easier when you have these characters available on the keyboard and can just use them while typing – this is possible in Windows by using a customized keyboard layout. 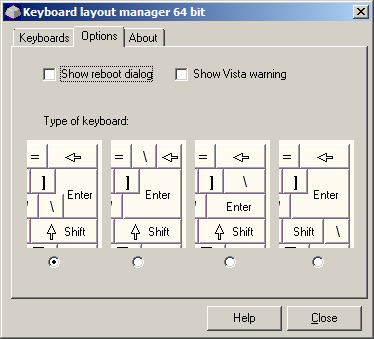 For this I use the program “Keyboard Layout Manager” which already exists for many years and is also usable for current Windows version including Windows 8. It’s not for free but at 20 € not very expensive and it works blameless. To use the customized layouts it is also not neccessary to have the program running all the time, since the layouts will get added to the system when saving them and are permanently available. If needed you can also set the exact type of the keyboard in the options since there are different variants depending on the language or the device (for example laptops). 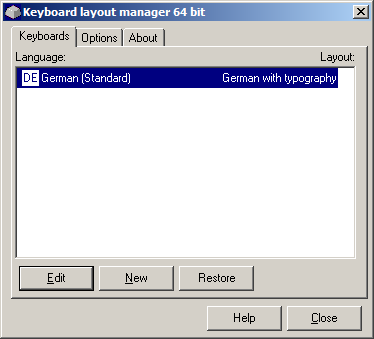 A new layout is created based on an existing keyboard layout. For my tasks I choose „German (IBM)“ as a template. For the additional characters the combination with [AltGr] makes sense since there are many unused keys available. Editing the keys is not very hard: First select the key and the modification key in the right area (as for example [AltGr]) and then you can click the desired the symbol directly in a character map. The character map displays 256 symbols as “subset”. This makes the navigation in the huge unicode character list much easier as it would be with a single huge overview. After completing the the layout you can also export it into a file so you can install it again using the program in a new Windows setup. To use the layout you finally have to select it in the Windows keyboard settings. If you modify an active layout you have to logoff and logon again so the modified layout gets loaded by Windows.